The Trial Pack is a great way to get started with e-Gel Electrolyte Energy Gel. 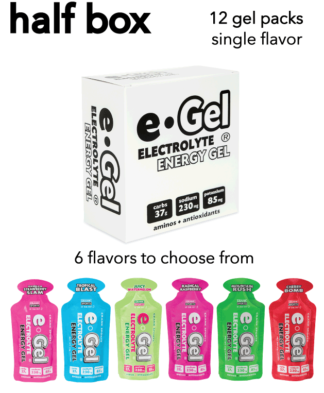 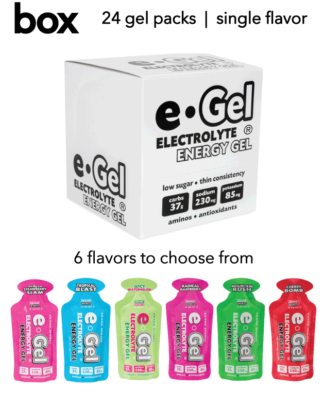 The trial pack includes 2 packs of each of our 6 e-Gel flavors, so you get 12 gels total. 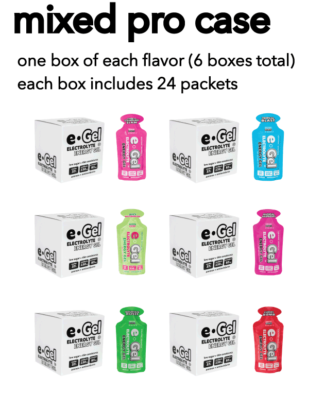 This is a great way to try all the flavors to see which you like best. Even better, since there are two of each you an share with a friend and compare notes.